It should come as no surprise that this was submitted by my pal and podcast partner Jason Lenzi. According to him, this is the only toy that bears any connection to the movie. 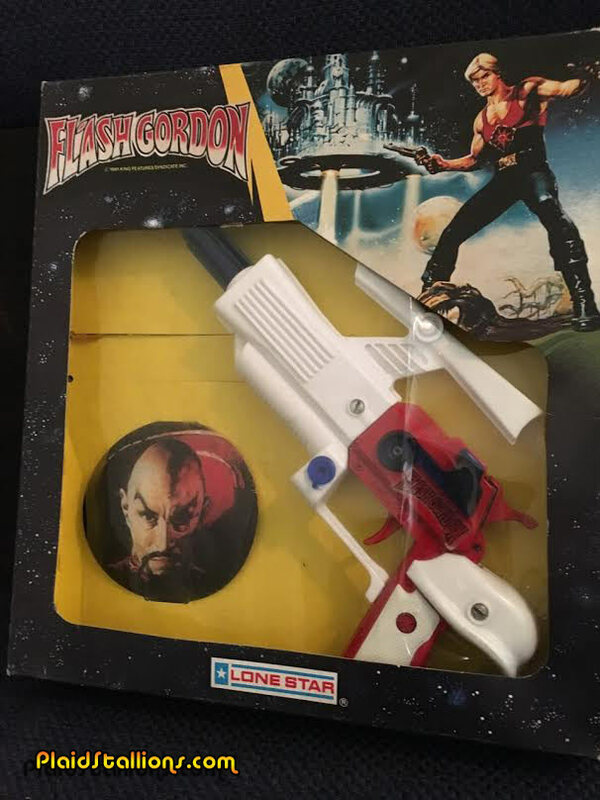 It's pretty tenuous as the gun itself is a mix of parts from licensed products made for shows like "Captain Scarlet and the Mysterons" and others. I kind dig that GI Joe's adventures continued in Europe long after the US handed him his walking papers. 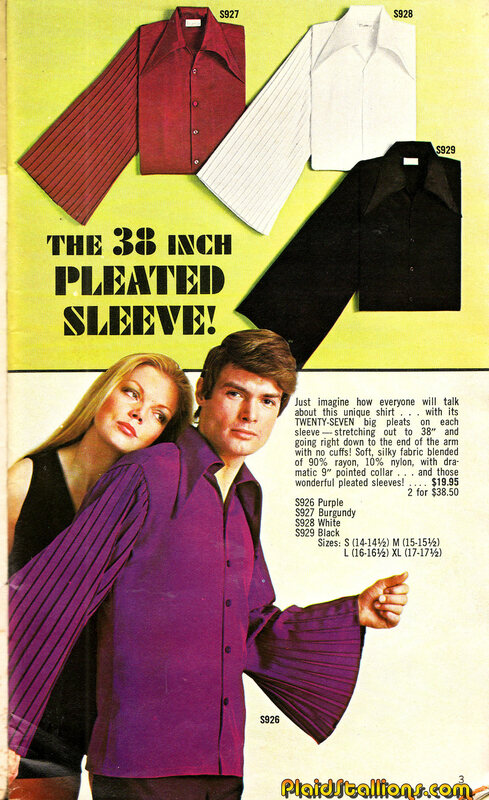 The 38 Inch Pleated Sleeve! 38 Inches? Stop tampering in God's domain, you mad men! 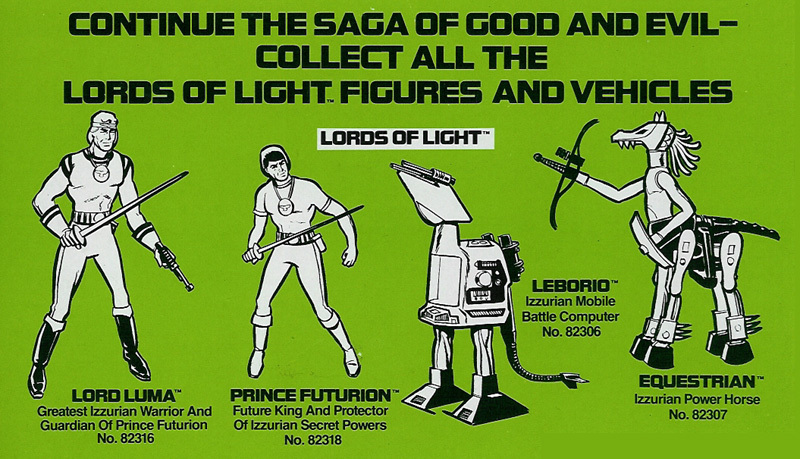 1977 saw Gabriel Toys try an interesting experiment in action figures. Instead of licensing a hollywood movie, they sought to captilize on the making of a movie by creating a set based on then legendary stuntman Hal Needham. 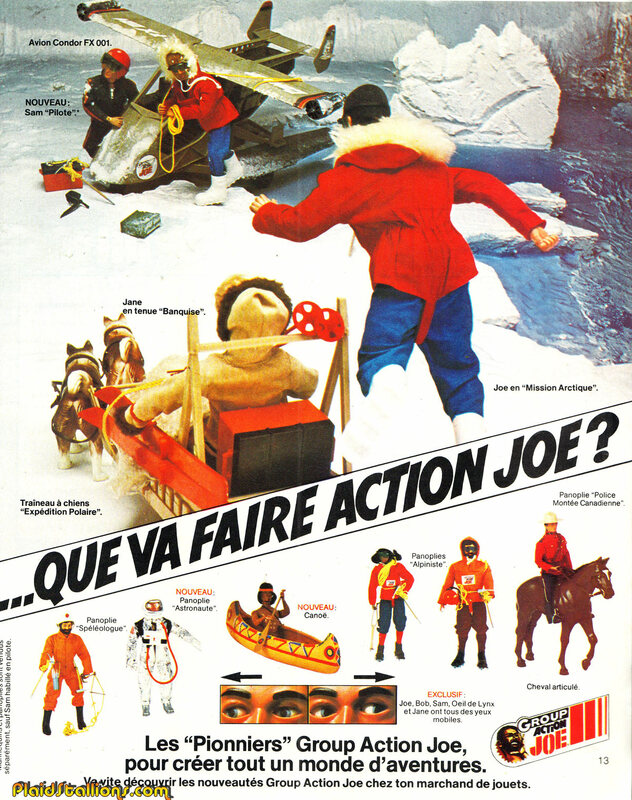 The unique concept had a child filming a stunt sequence in a movie and was actually one of the more inspired (and sadly forgotten) toy concepts of the 1970s. 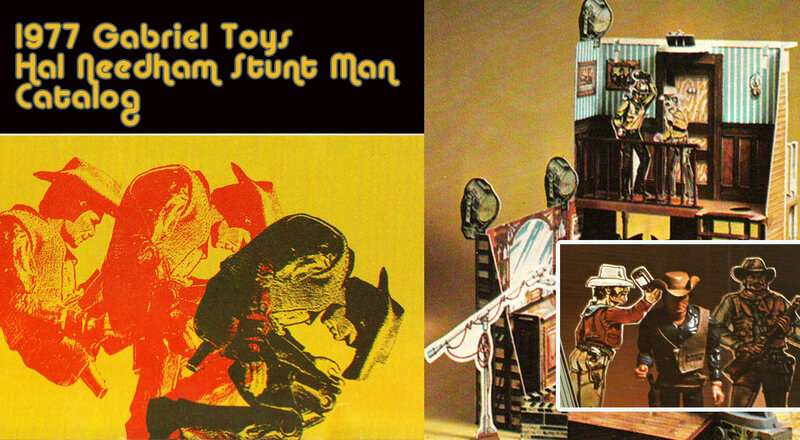 Check out all the action of the Hal Needham Stunt Set here. It's been a while since I got anything new in my quest to own all merchandise from my favourite saturday morning show, Tarzan and the Super 7. Lucky for me I found a sweet deal on a complete set of Imperial stickers based on all the characters! More after the jump. 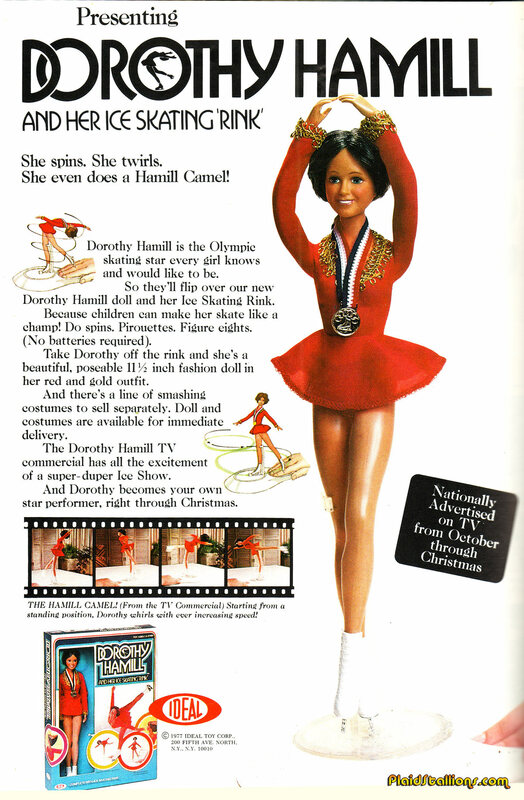 Just a follow up to last week's post about the late start that Star Wars got toy wise. 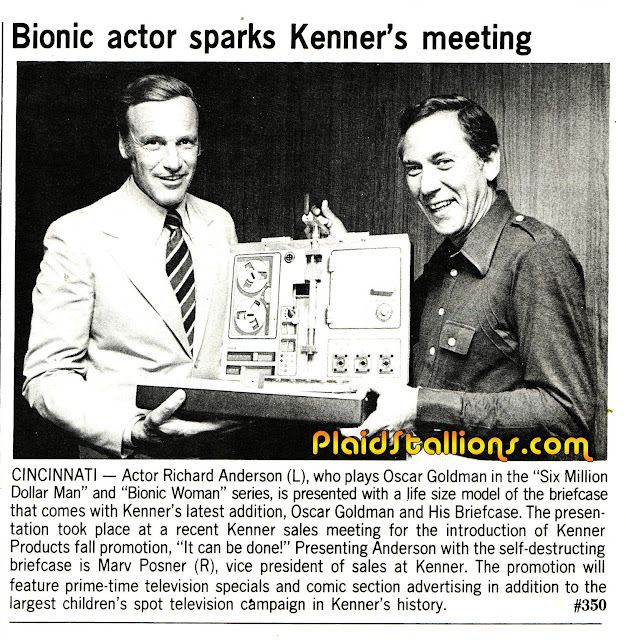 In the very same toy trade magazine that nonchalantly showcased the photo of Lucas meeting with Kenner execs had this impressive add from Ideal at the very front. 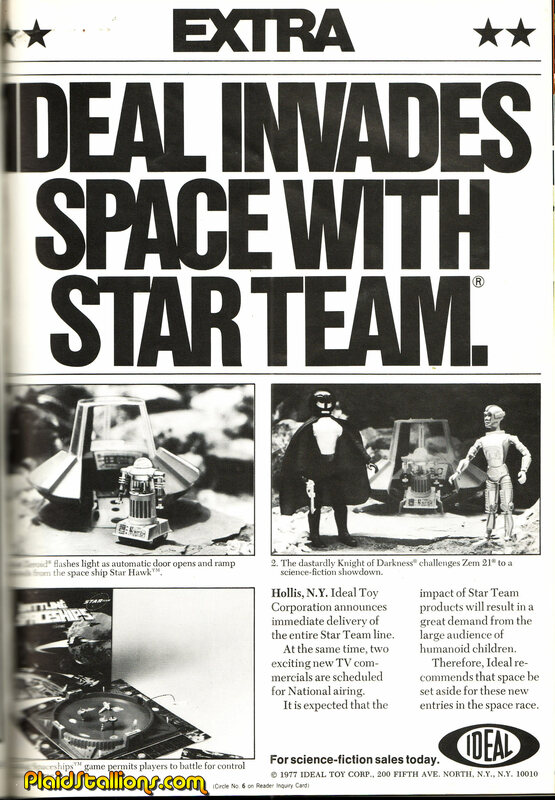 Ideal invaded alright, the company worked very fast to crank out a Star Wars inspired series of action figures using old molds and a brand name "S.T.A.R Team" they used in the late 60s. The publication date on this magazine is late September (ironically my 7th birthday) that means Ideal got a toy line to market in 90 days. 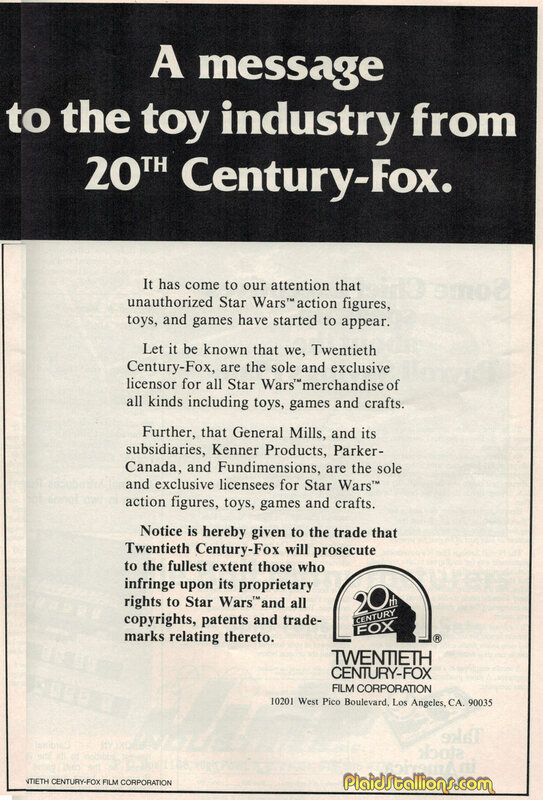 Pretty impressive stuff and don't think people didn't notice,in October a new full page ad appeared in the toy trades. Scarier than Darth Vader and the Imperial Senate, Fox unleashed their lawyers. 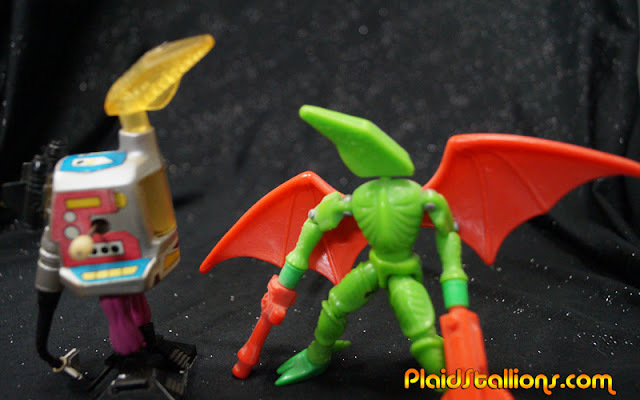 It's a battle many would lose but Ideal actually won, seeing as S.T.A.R Team existed prior to 1977. 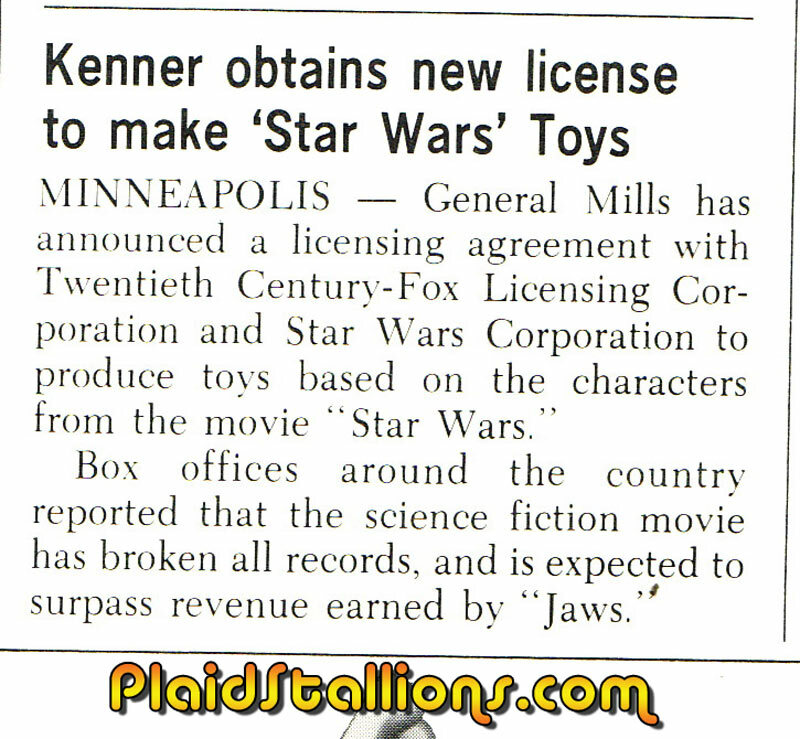 It didn't matter because once Kenner launched real Star Wars, everything else paled and the landscape was forever changed. There is no monkey business on Jefferton Court when these two are on the case. 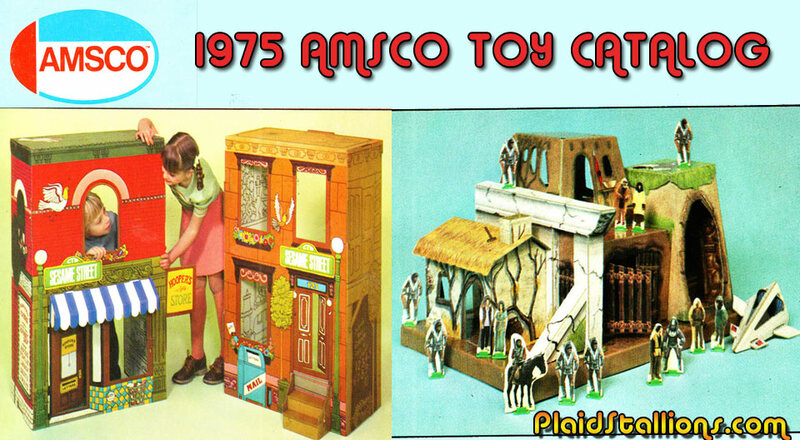 Amsco was a division of Milton Bradley and during their tenure they made some really fun creative and memorable toys. 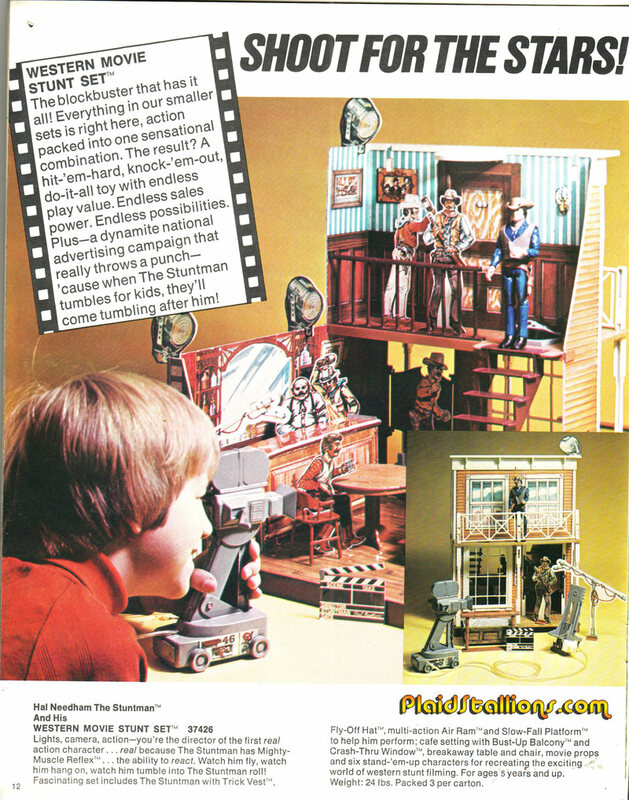 1975's roster included Sesame Street, Classic Monsters, Planet of the Apes and even the Waltons in some unique items. 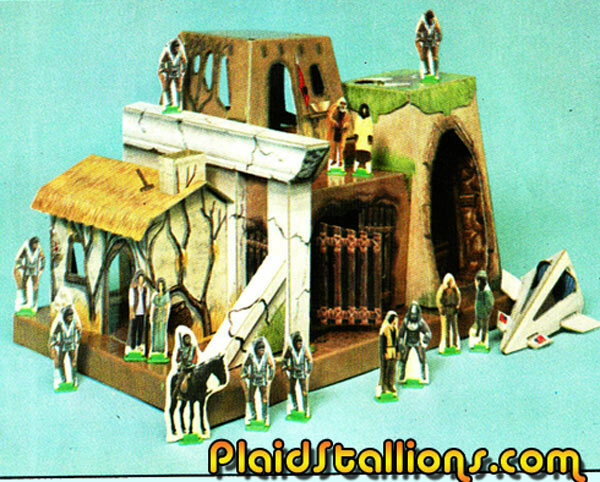 Check out the 1975 Amsco Toy Catalog here. I've posted bits of this before in the dial up days but I don't think I've shown the whole ad. 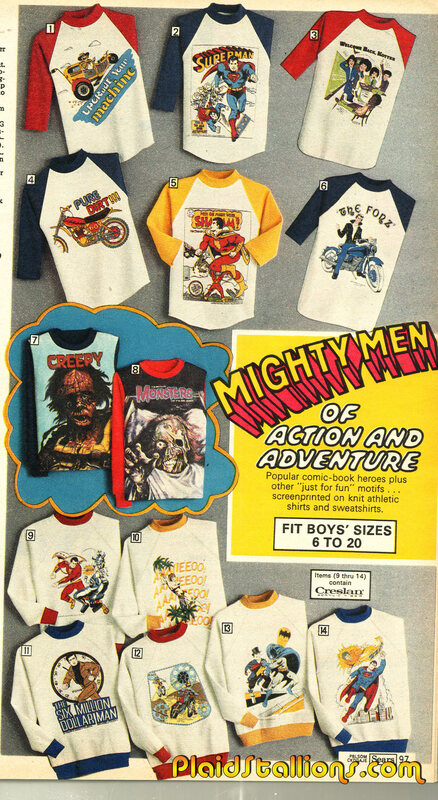 I'm just in awe, I'd wear the majority of these right now especially the Famous Monsters and Tarzan. Also, it's weird to see Shazam! 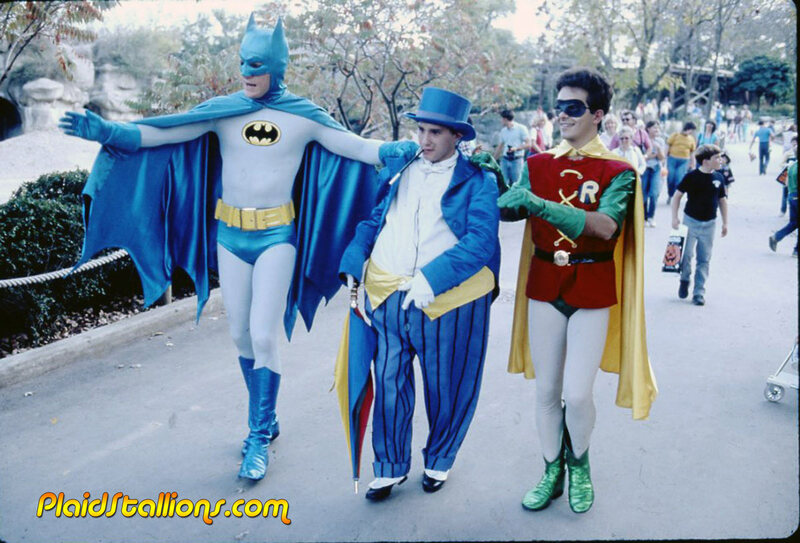 designs yet only one Batman. I've been digging around in vintage Toy Trade publications this past month and let me tell you, 1977 was not prepared for what hit it. 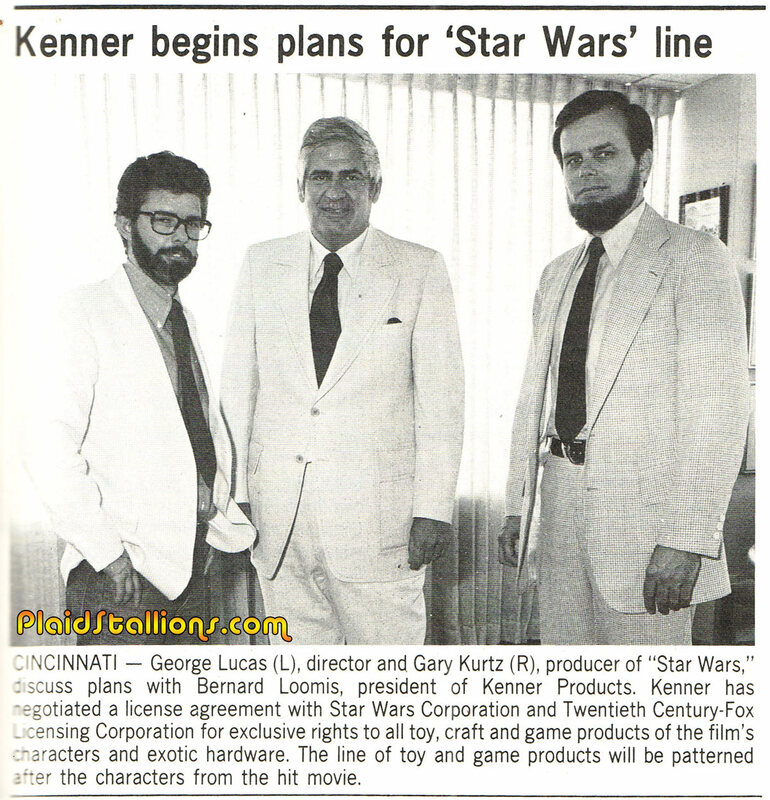 Above is a piece from the summer of 1977 showing George Lucas and Gary Kurtz visiting Kenner, it's pretty bland and certainly doesn't give the impression that the whole game is going to change. 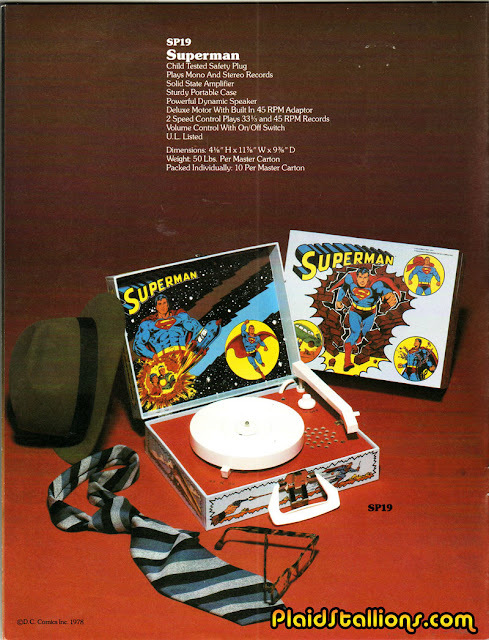 I'm really happy vinyl is back in what few record stores I can find these days, that's why I love this 1978 catalog from Dejay featuring a variety of licensed children's record players. 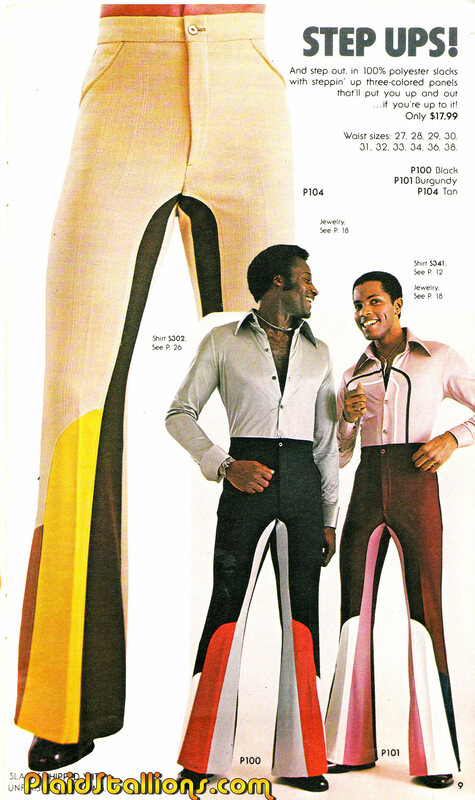 Check out the 1978 Dejay Catalog here. 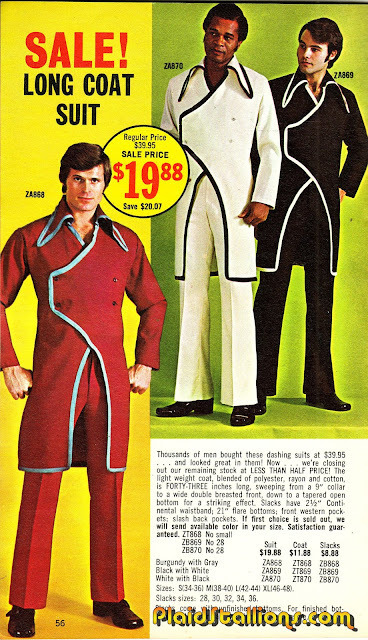 If Buck Rogers building had a doorman, this is what I think he'd be wearing. 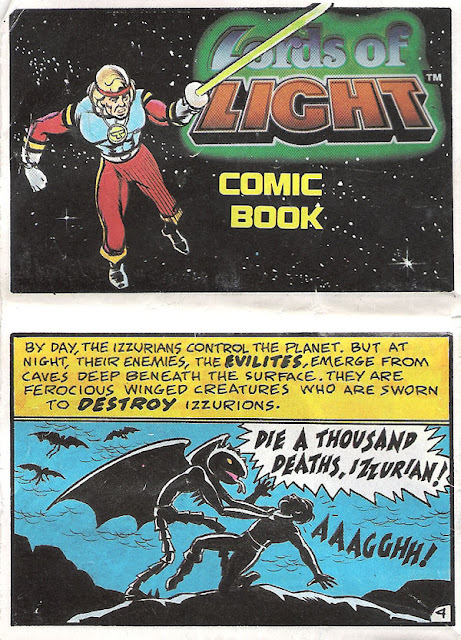 Pretty commonplace now but back in '76 some Shazam! 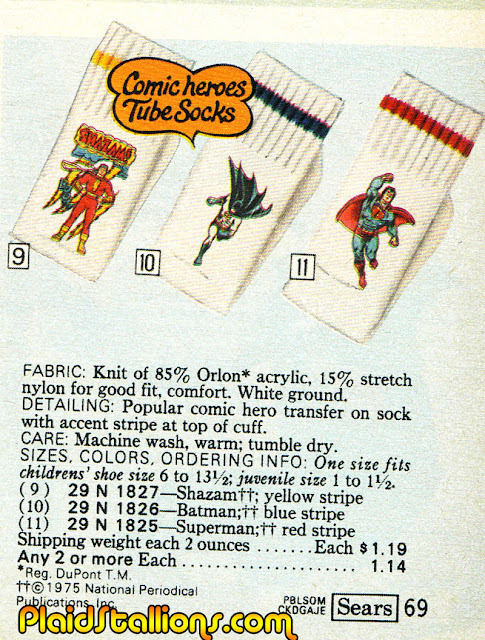 socks would have really brightened my day. Especially 65% Orlon Shazam socks. 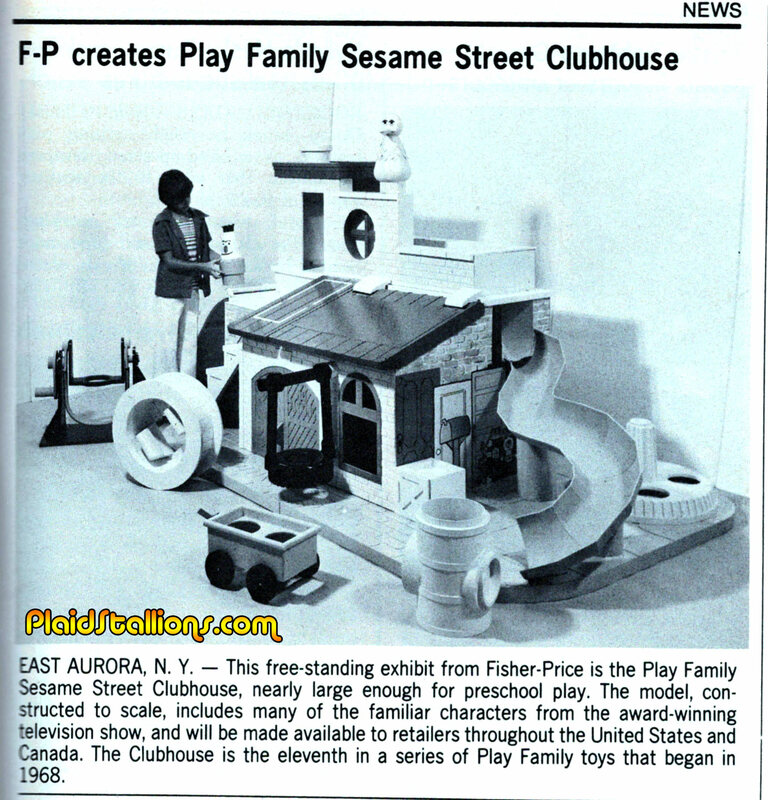 In1977, Fisher Price promoted the Little People Sesame Street Clubhouse by creating a gigantice model of it. 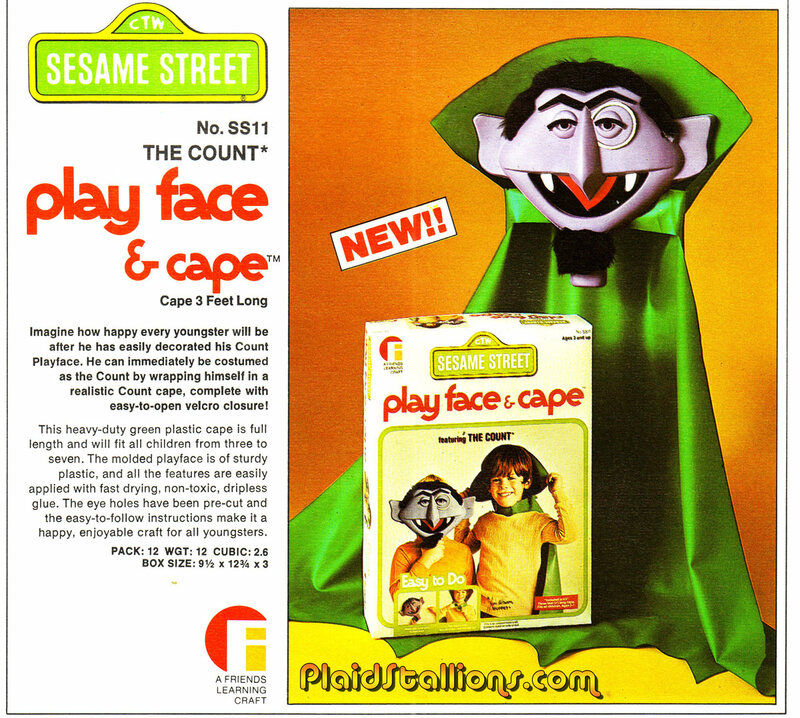 The happy memories I had playing with this toy are only slightly shadowed by the original Sesame Street set by FP. I look at this thing and it cheers me up, always will. 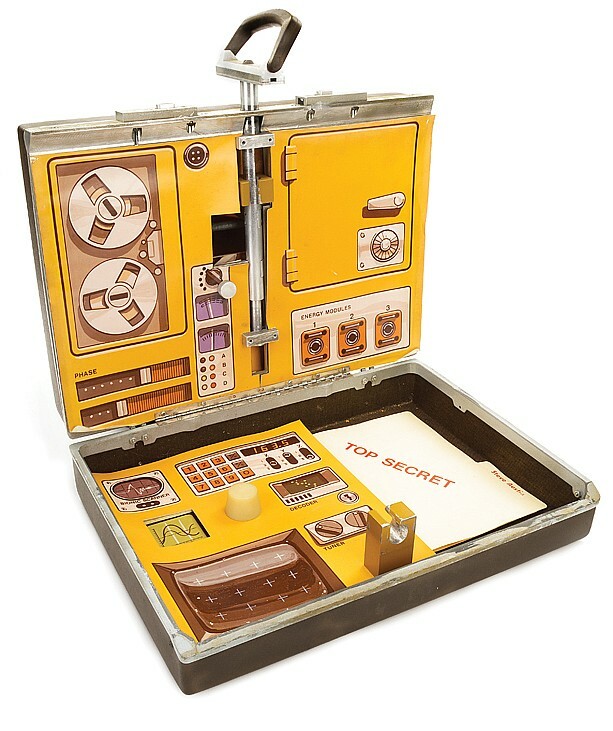 I need to know if this still exists somewhere, come on interwebs do your magic, we tracked down Oscar Goldman's Briefcase in minutes, let's do this! Also, I'm less than two hours away, if this is in somebody's garage or attic, I would kill to come photograph it. 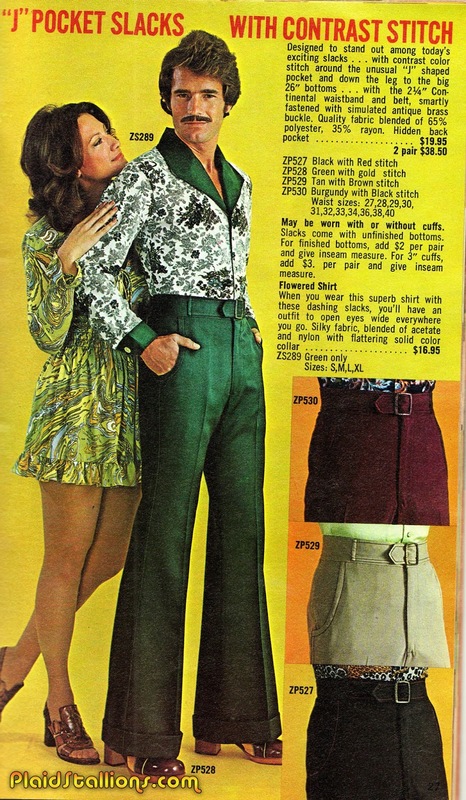 Seriously, look at that giant Bert! 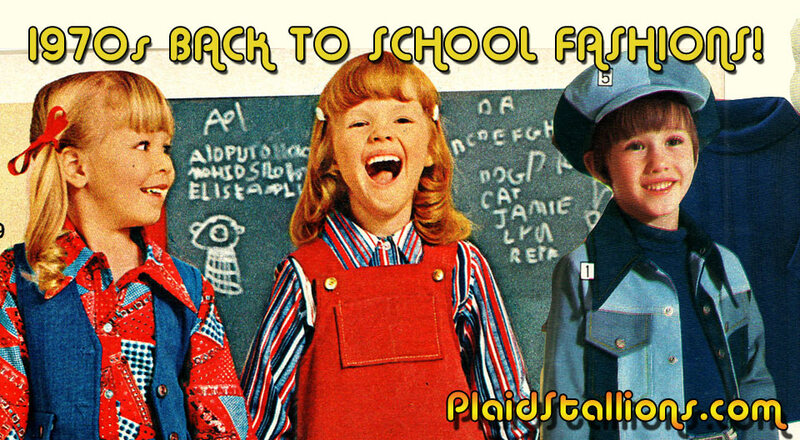 The Plaid Stallions 1970s Back To School Fashion Spectacular! While summer comes to end, I now have an awesome set of memories wrapped in some well loved vintage GI Joes. 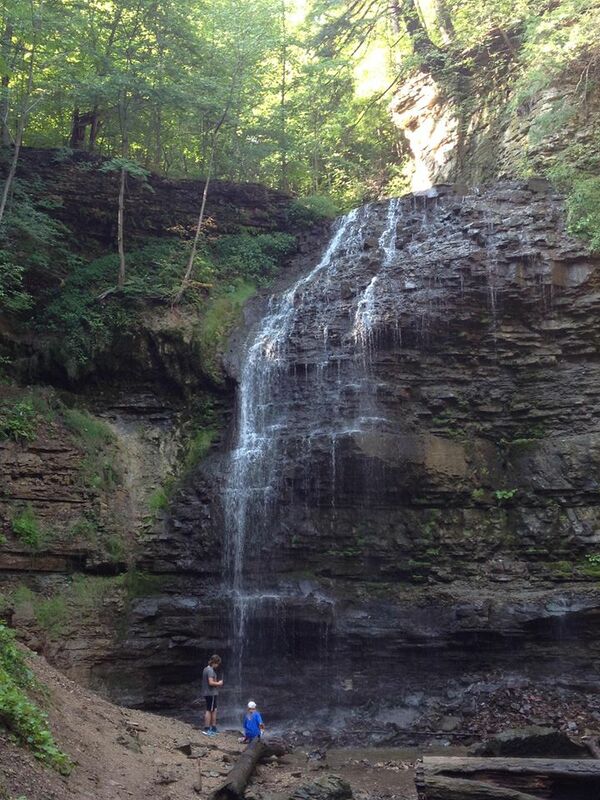 You see, my family chose to spend our summer weekends hiking the wilderness and then exploring a new town. 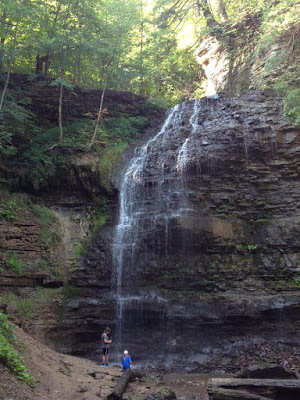 We got some exercise, saw some natural wonders, tried new food and then checked out any area flea markets or antique malls (as anyone who has been to my face book page knows, I like this sort of thing). 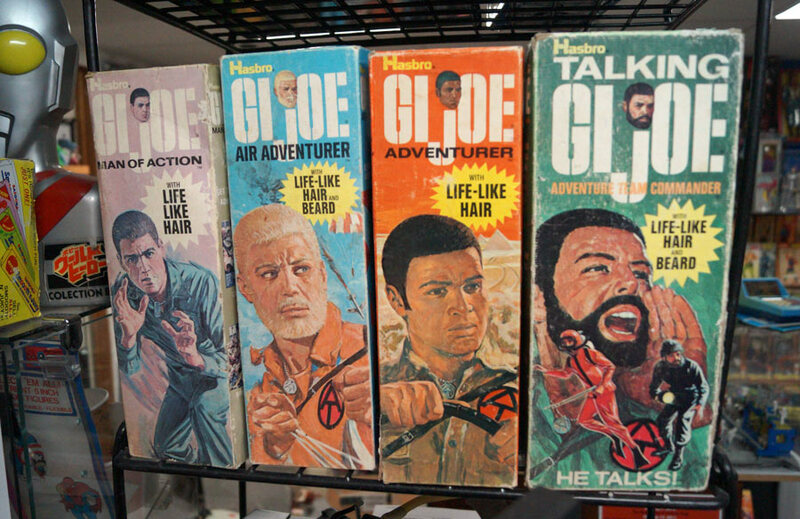 On our first trip, I visited the awesome Bounty Hunter Toys in Hamilton Ontario, where I got a fantastic deal on a talking GI Joe in the box. He wasn't perfect but his price was more than fair and he kept telling me he "had a tough assignment for me." I took that assignment by trying to pick a well loved Joe everywhere I went the next two months. I struck out a lot, often passing on overpriced ones but as our family adventures continued, I had some luck finding some gently used adventurers. Now, each figure reminds me of one of those trips, even the Man of Action, who was angrily purchased online the day we got lost in the woods for 3 hours. With summer over, so ends my Joe quest, they will remain above my desk, as a reminder of time well spent. Thanks for reading, hope you have an awesome labour day weekend. 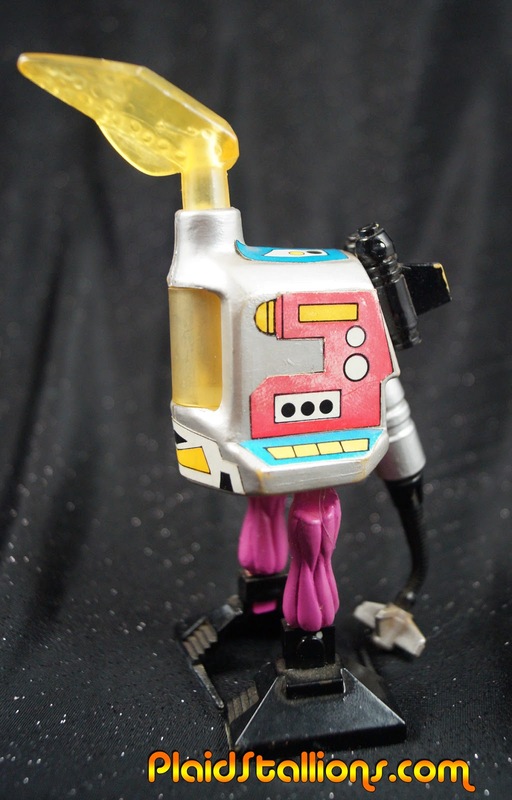 I'm really happy to showcase this neat discovery of this lost Lords of Light toy. I've been smitten with these figures since the mid 1990s when I first found out this hidden treasure. 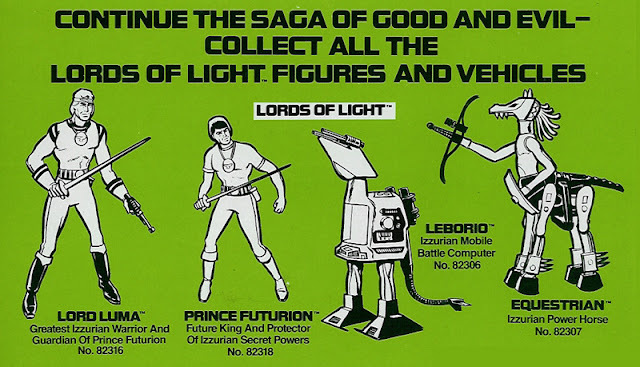 A bit of a background on Lords of Light: After Mego Toys folded, a company known as PAC packaging (who light assembled many of your childhood favourites) got into the manufacturing game and produced several Toy lines in the early 1980s. 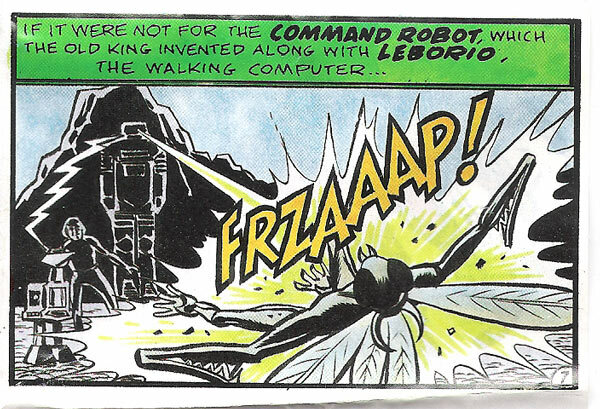 This is Leborio and he's described as the Izzurian battle computer, he is designed to walk and according to Ruzzi, he was meant to have a slight limp. 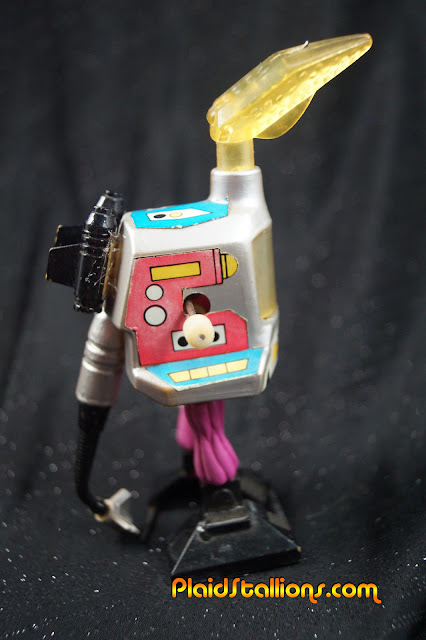 Leborio has a removable head in order to place a glow stick in his chest cavity. 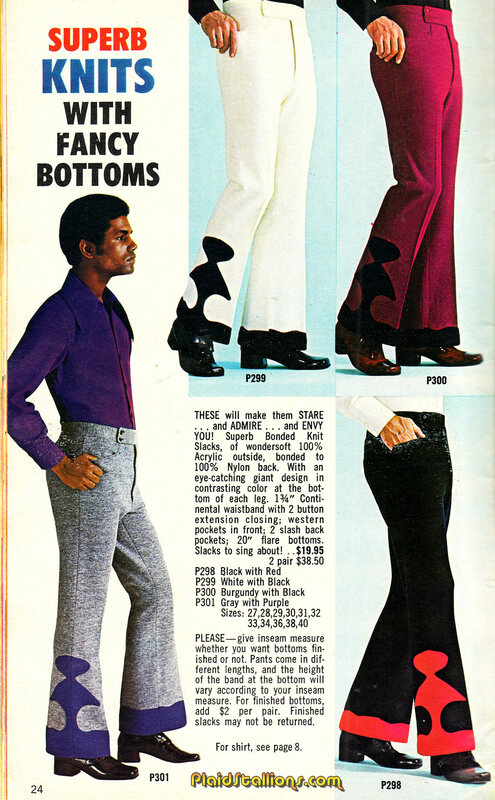 I am tempted to pop one in. REPTO! I'm sure you can see the family resemblance. Hopefully more Lords of Light will finally surface! 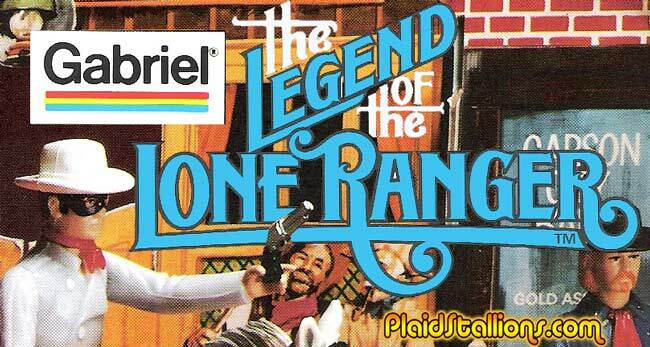 I actually am kind of angry that I never saw this as a kid, it's incredible! 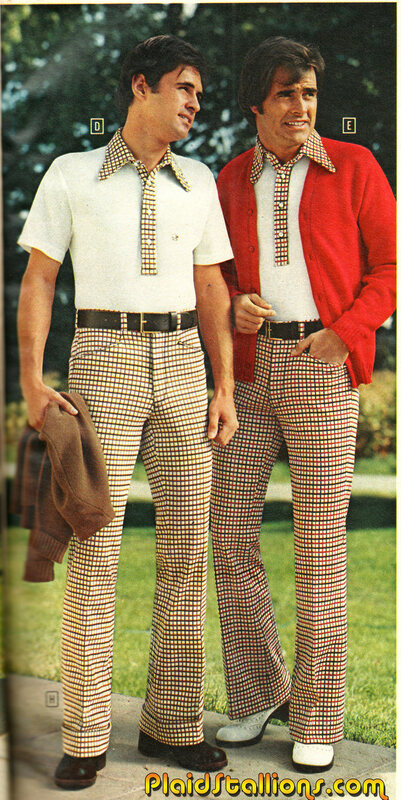 If a publishing company ever picks up my "Mike Brady: Private Eye" fan fiction, I've got my cover. OK, so apparently actor Richard Anderson visited Kenner headquarters in 1977 and they presented him with a life sized version of Oscar Goldman's exploding briefcase! 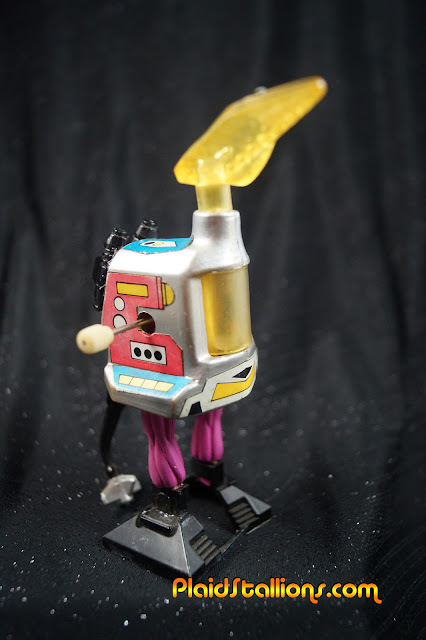 So that means, that (hopefully) in Richard Anderson's house, he has a 1/1 scale version of one of the greatest action figure accessories ever made.